The Mayor’s Office regularly promises capital commitments to the public during ULURP, which is the public review process used to amend the City’s zoning regulations. These commitments are one of the primary instruments wielded by the City in negotiating zoning changes, yet they are not formally accounted for in the formal documentation of the zoning amendments. Rather, these commitments are often memorialized in a letter written between the Administration and the City Council, which cannot easily be tracked and does nothing to assist the public in ensuring the Administration fulfills its commitments. The capital commitments that are typically promised by the Mayor’s Office include new parks and schools, local hiring programs, and other infrastructure investments. These investments can play a particularly important role in communities most vulnerable to displacement. The East New York Rezoning Plan, for example, includes the City’s promise to invest $267 million in capital improvements, such as by improving public safety conditions on Atlantic Avenue, revitalizing parks, and provide local residents with a Workforce1 Center. To read more about the East New York Rezoning Plan, click here. 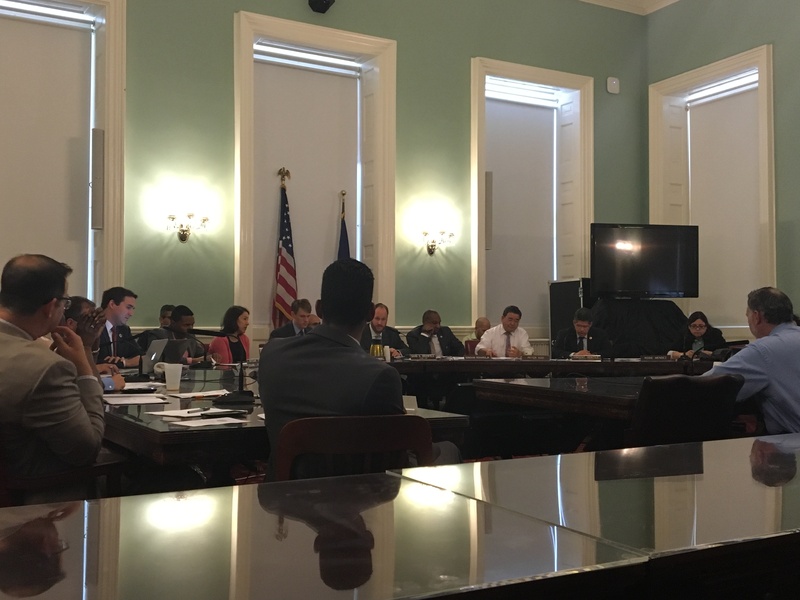 At the Land Use Committee hearing, Council Member Rafael Espinal, one of Intro 1132’s prime sponsors, explained how Intro 1132 seeks to improve the existing ULURP process by adding a layer of transparency, which will keep track of all capital commitments made by the Mayor’s Office and will keep citizens informed. “As the Council Member representing an area that recently underwent one of the largest rezonings in history, I want my constituents to be able to know and track all of the capital commitments that are made by the City as part of the East New York Rezoning,” said Council Member Espinal. Council Member Donovan Richards recalled that the need for a tracking system had been discussed with the Mayor’s Office while negotiating the terms of the Mandatory Inclusionary Housing program, because previous mayoral administrations had not fulfilled some of their promises. “We’re turning a new leaf today by offering a lot more transparency and accessibility not only for members, but in particular, for the public,” said Chair Richards. Kaufman responded by describing the difficulty in orchestrating the many moving parts involved in creating a formal location for the the mayoral agencies’ promises, because the process requires DCP to oversee the integration of the agencies’ actions without effectively parenting the agencies. City Council: LU 1132-2016 (June 7, 2016).